When Seniguk Consulting Limited were looking for new premises for their growing accountancy business, Harlow Enterprise Hub, managed by enterprise agency Nwes, offered them the ideal solution. 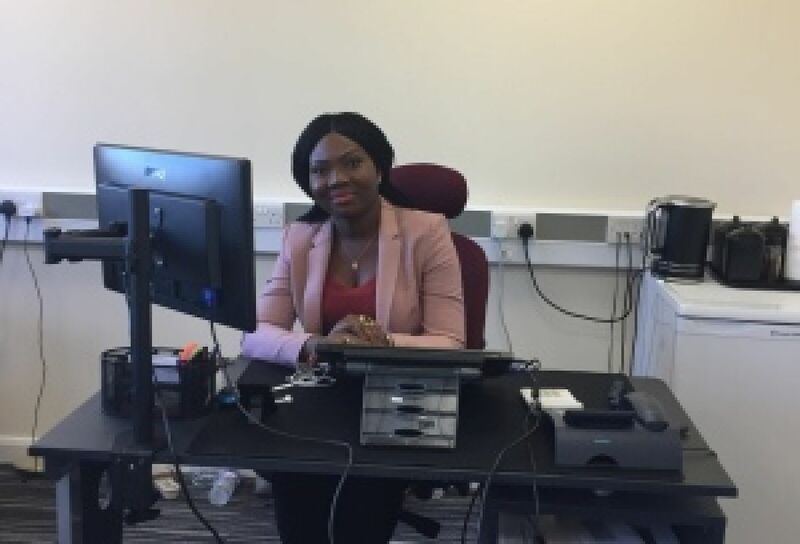 Business owner Adeola Falako told us about Seniguk Consulting Limited and how the move the Harlow Enterprise Hub has boosted business. What does Seniguk Consulting Limited offer? We provide financial support, including tax consultancy, accounting, and bookkeeping services. Seniguk Consulting Limited offers a tailored service to suit every business type, from sole trader to a large business, at a very competitive rate. With diverse accounting services and packages, we can be a ‘one-stop’ for accounting needs to save our clients time and money. With over seven years experience, I am proud of Seniguk Consulting Limited customer satisfaction record and subsequent referrals. I take pride in our work, offering the best service possible for clients. The need to practice and meet the accounting needs of people has always given me satisfaction. My first customer was gained through an advert on Gumtree. It was encouraging to know that my services were needed. There have been many highlights since, including the knowledge that Seniguk meets customers’ needs, and to negotiate with HMRC on behalf of clients is extremely rewarding. What opportunities will your move to Harlow Enterprise Hub offer you? We currently employ two staff and, having recently moved into Harlow Enterprise Hub, we are now perfectly placed to expand our team. I am planning to create more jobs for people in the community by recruiting a minimum of six new staff. Having seen the availability of an office at Harlow Enterprise Hub, I was pleasantly surprised at all that it could offer Seniguk Consulting Limited. Now, with the space to expand, I can also take advantage of the Hub’s meeting and conference facilities, and I have even had the opportunity to be a guest speaker at events at the centre organised by Nwes. It’s a very friendly and professional environment. The helpful and resourceful reception team, and the services included, such as internet, telephone and postal services, are time saving and cost effective to a growing company like ours. What advise can you offer to those new to business? Be patient, focus and be resilient in order to take that bold step into the career or job path that makes you happy. When you are happy doing a job, you tend to make the best of it and fulfil your dreams.